Don't Pay For Your TICKET! Did you know that if you pay your ticket it�s an automatic admission and adjudication of guilt on your record. 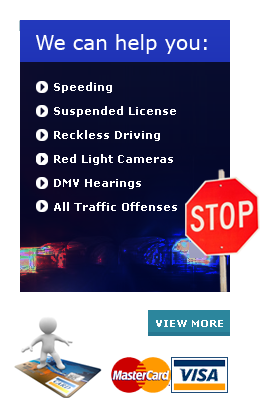 Moreover, if it�s a moving violation, points will be assessed toward a license suspension. Finally, insurance companies may use this information as an excuse to raise your rates and take more of your money. That's why under most circumstances we advise people never to pay their tickets. The Traffice Ticket Guy "Guarantees" you no points on your license or fee refunded for non-accident civil cases and in most cases no driving school. Best of all, you don't have to pay the ticket or take off valuable time to go to court. We go for you. Let us alleviate the stress involved with receiving a traffic ticket. Before you hire some random traffic ticket clinic, call the ticket attorneys at the Traffic Ticket Help Center. Mark is admitted to practice law in the state of Florida and the Federal Bars for the Southern and Middle Districts of Florida. Mr. Milrot has been an adjunct professor, teaching law at Broward Community College. Our newsletter has all the current info about Florida laws and how we can help you fight all tickets. Know your rights and let us fight for you.